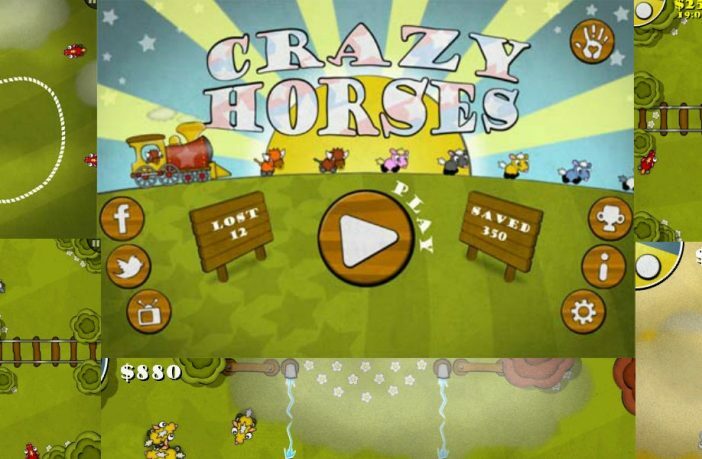 Crazy Horses is that rarest of beasts; an iPhone port of a Windows Phone game. 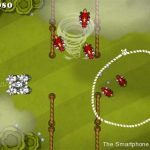 We reviewed the original title for Windows Phone way back in July of last year, and thought it was a fabulous exclusive for Windows Phone, but unfortunately, neither Microsoft or even the specialist Windows Phone press really picked the game up and got behind it. Microsoft didn’t even award it Xbox Live status, and one reviewer even had a pop at the developers for wanting to make a living from the game. 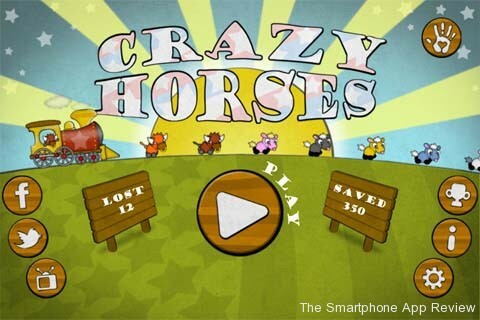 The ignorance of the game all round from the Windows Phone community has actually forced the developers to create this iOS version of the game, and that is only good news for iPhone owners, as I am happy to report that Crazy Horses is even better on iPhone than it was on Windows Phone. The presentation has been spruced up all round, with a reworked front end that has character building incidental animations, tutorial tweaks and a new opening for the first level. The graphics have received a massive boost, with higher res images for many elements, retina support, upgraded textures and an all new particle system for the snow effects. The biggest addition is Game Center integration, no doubt using the bones of the Xbox Live implementation that Microsoft never green lit. Again, this is another boost for iPhone owners, as the leaderboards and achievements really add another dimension to the title. I can report that the game plays slightly better on iOS, with the horses responding better and it does seem that they move a little faster, although that could be my imagination. This version includes all the extra levels that were added the the original over time, so my criticism of the game length below doesn’t ring quite as true. 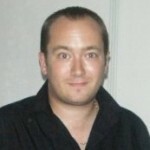 “I don’t think Microsoft realise just what they have got on their hands here. 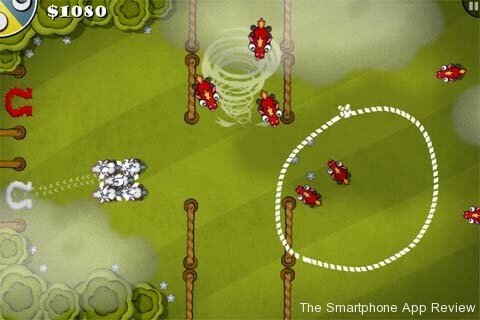 An exclusive title that is as good a game as titles like Angry Birds and Flight Control, maybe even better than them. I always liked Flight Control, and gave it a great score in my review for Android, but I always felt that Firemint, while creating the concept for a great game, never really took the idea and ran with it. Well, Crazy Horses literally takes the concept and gallops off into the distance, never looking back. It’s an excellent casual game. Here, the idea is to get different types of horses into like coloured gates. You do this by drawing a circular shape like a lasso around the horse or horses you want to control. Once bound, they stand still, and you then draw a route for them to follow, and they set off, with a tap of the finger making them speed up a little with each touch. If horses are far apart and you draw a screen covering lasso, they will all fly to the middle point and gather, where they can be controlled as one horse, although obviously you get many more points for catching groups of horses. You have one day of game time to complete each level, with the screen getting darker towards the end of the day, adding to the sense of panic as you try to herd all the remaining horses to their pens. The game really excels in its level design, as each stage presents a new challenge, gimmick or obstacle, so you will soon find yourself steering the horses away from tornadoes, electric fences, trains and many more clever twists. The horses all have excellent death animations and noises, especially when electrocuted or blown away by the tornado, and these actually add to the need to protect the little fellas. Some of the obstacles are timed, such as the electric fences, and it is a challenge to get the horses through unscathed. There is probably a way of timing your runs to perfection here, but most of us will settle for panicking and making the horses go in circles while waiting for the electric to clear. Another good element are the bulls, which will annihilate the horses and must be destroyed by tapping them several times. It is when the developer mixes all these concepts in together that the game really shines. The graphics are really good, and viewed from a top down perspective, and have an almost hand drawn style to them, and the horses are particularly well drawn and I really liked the cloud effects.. So many games create a concept and just repeat the same stages and designs, so it is very refreshing to see this game innovate right to the very end. The only problem is that the end comes along all too soon. There are sixteen stages in this initial release, with many more planned in future free updates, and while its good that more is planned I feel that more stages should have been added to this first release. Overall then, this is just as good as it ever was, and will hopefully receive the attention it has always deserved. 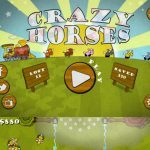 Brilliantly playable, full of character and variety, Crazy Horses for iPhone is a must have title, and I am happy to award the iPhone version the same massive score the Windows Phone version received. Wow. Flight Control is one of my favorite games. Sounds like this is even better. Will definitely be on my list! 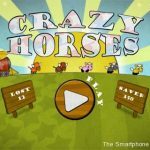 I’m Richard the designer of Crazy Horses – hope you all like the game! If you have any questions or want to discuss the game I’m happy to chat just post a comment. Hey, how about Android version?